Renovated in 2001, the Goldman Lofts offer 28 rental units with eight different floor plans ranging from studio to 2-bedroom. This mixed-use, mixed-income development has huge windows, high ceilings, and exposed building elements including brick columns and beams. 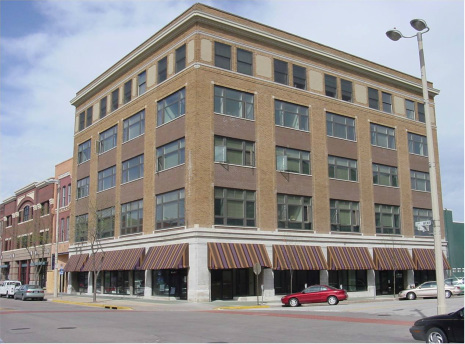 The Goldman building was donated from a local businessman who had a great love for the Rock Island community. 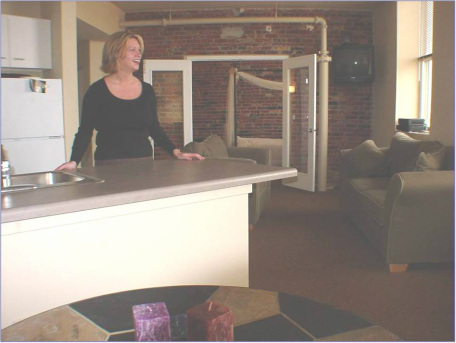 The lofts are located in the heart of downtown where residents enjoy easy access to arts, restaurants, and festivals. 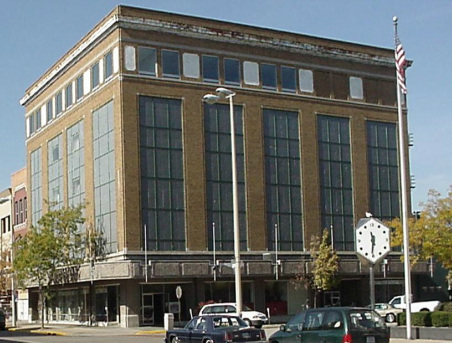 Interesting Fact: The Goldman Building was built in the 1880’s and went through many changes including a hotel, department store, and furniture store. Above: Before and after picture of the Goldman building. Below: Kitchen and living space of one of the Goldman Lofts units. 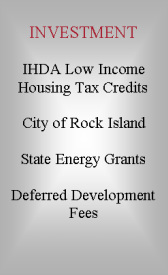 Bottom Left: Rock Island's 2nd Avenue transformed with over $12 million in public and private investment.